Much has been written about the control of popular music in apartheid South Africa, with a strong focus on censorship in particular. This chapter explores a specific under-documented aspect of that control: the repressive darkness experienced by musicians performing at night-time in the face of apartheid laws restricting freedom of movement and association. From curfews to roadblocks, the apartheid government attempted to control movement and association in night-time South Africa. Music was especially affected by laws which curtailed night-time movement and association given that most public performances take place in the evenings. Different forms of control impacted on (especially black) musicians’ ability to freely perform in South Africa. The chapter documents musicians’ experiences of night-time harassment during and travelling to and (particularly) from night-time performances. 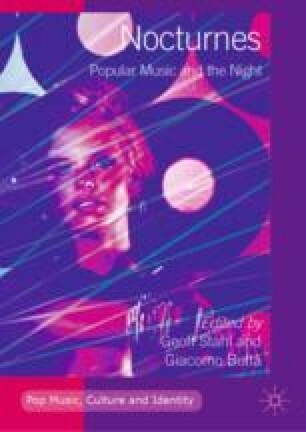 Integrated into this analysis is a discussion of music that documented these night-time difficulties, the writing and performance of which demonstrated musicians’ attempts to recognize and resist the intentions which such moments represent. The chapter reveals that despite apartheid government attempts to bring the night-time under its control, musicians fought back through the music they composed and their insistence on performing at night.